Of course, I wanted to make something using my Classic Curves Ruler, so I did a bit of brainstorming to decide which design would make these fabrics shine. I admit that choosing a design is the hardest part because I have so many ideas and things I want to make! In the end I decided to add some bright white so the colors would really pop, and chose a basic orange peel shape for my blocks. 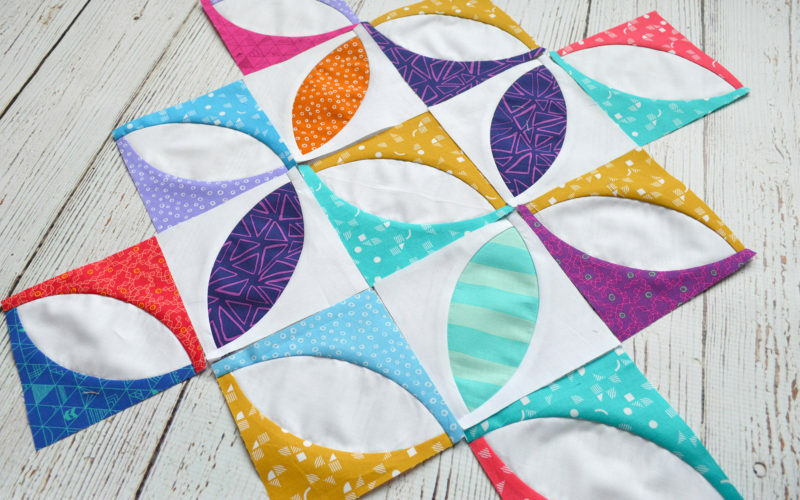 These are little blocks at only 5″ and I think they are super adorable! In addition to the colorful prints, Panache includes a good assortment of black and white and gray prints. During my design process I debated how I might incorporate these. One option is to use the black for sashing. 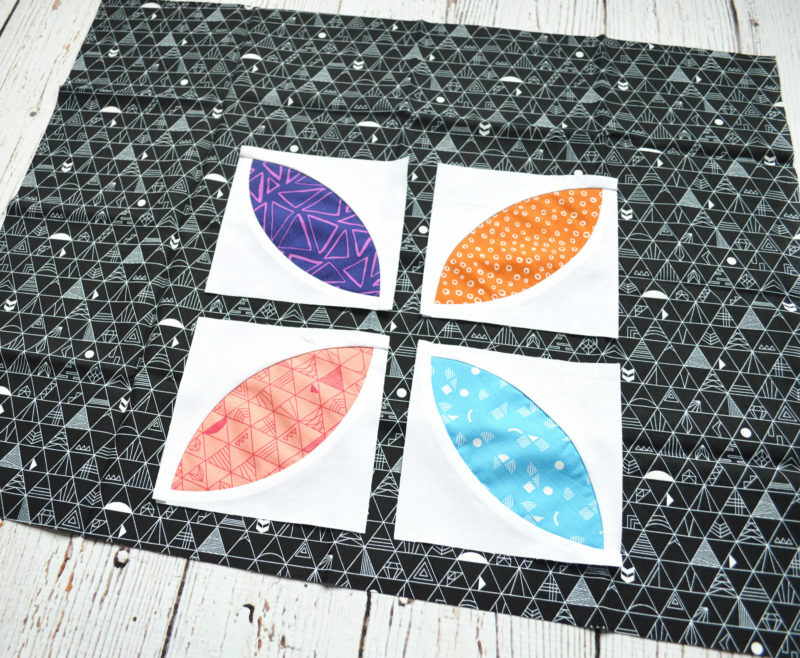 I also considered making one half of all the orange peel blocks with the black/white/gray prints. 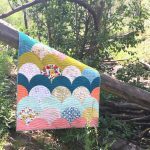 This quilt design actually changed several times as I was sewing the blocks. That happens to me a lot. 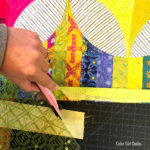 Quilts don’t always turn out the way I initially planned, but I love that aspect of making a quilt: the creative thought process along the way. 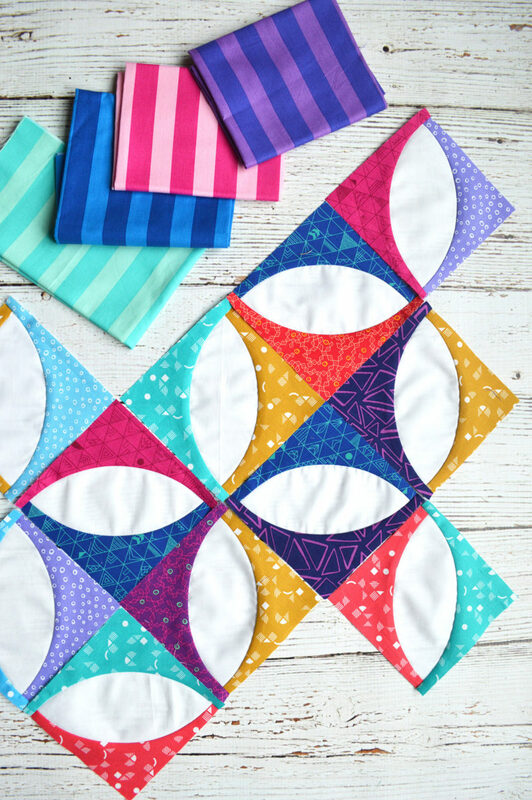 After all the ideas I auditioned, I decided to just keep the color prints for this particular quilt and keep the neutral ones for another project. 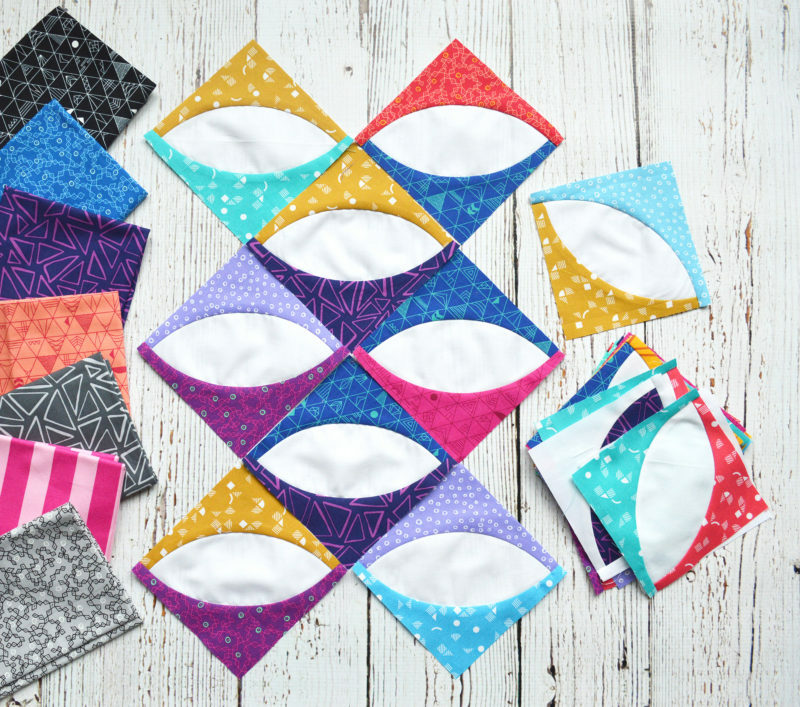 I finally made up my mind about how these little blocks will go together, and I’m hoping to get them sewn up soon. Great things come to you when you are signed up for the Color Girl email list! 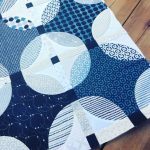 Indigo Mini Quilt Top, Done! I love how it’s looking!